SYSPRO enables discrete manufacturers to achieve high levels of efficiency and profitability in the fabrication and assembly of components and finished products. Ensure quality, reduce forecast errors, synchronize supply with demand, and deliver faster. 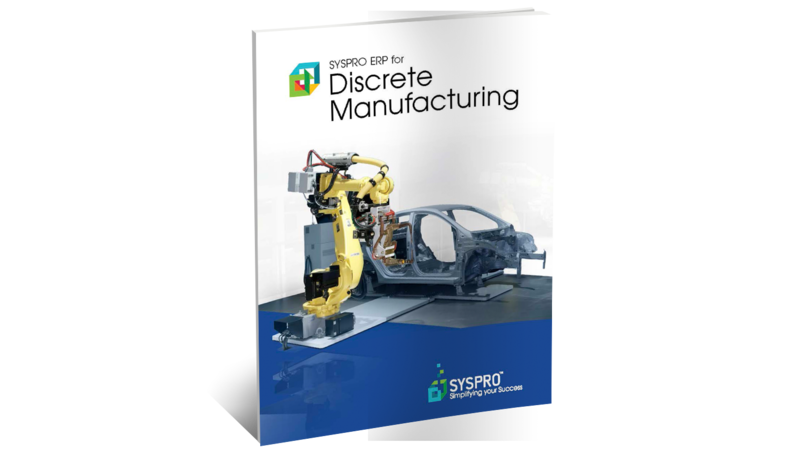 Download our SYSPRO ERP for Discrete Manufacturing Brochure to learn more.